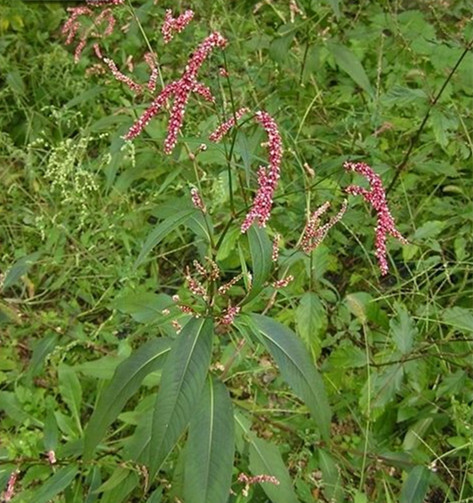 The drug if the dried or fresh herb of Polygonum lapathifolium L. (Family Polygonaceae), growing in grooveside, fieldside or moistland along road, distributed in Northeastern China, Northern China and Shanxi, Gansu, Ningxia, Heann, Shandong, Anhui, Zhejiang, Hubei, Guangdong, Guangxi, Guizhou and Sichuan. Remove toxicity, eliminate dampness, activate blood. Sores and boils, eczema, dyspepsia, enteritis, diarrhea, scrofulas, irregular menstruation, traumatic injury, rheumatic arthritis. Decoct 3~10 g. Proper dosage is for external application, pounded for applying or decocted for washing.